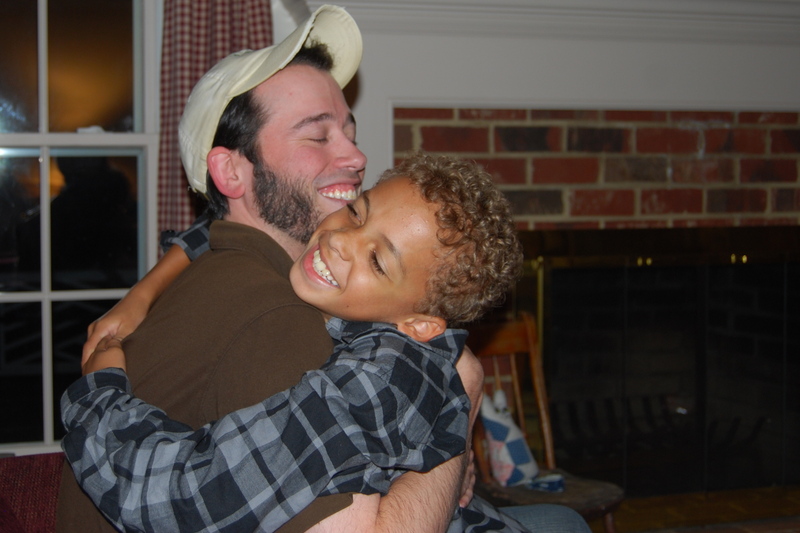 Last week, on the night before my niece and her son flew back home to Texas, I took this photo of Marshall and Connor. They were hugging each other good-bye until the next time Connor and his Mom visit . And immediately after the hug, Connor said: “I love ya, Man”, and Marshall, of course, echoed the sentiment. I see fun. Connor brings out the little boy in Marshall. Marshall is amazed, as we all are, at Connor’s quick wit. When they’re together, they talk about everything from dinosaurs to Monster Trucks. I also see just a touch of sadness, because they both know it probably be almost a year before they see each other again. But, most of all, when I look at this picture…..I see love, man.